The three main benefits of content marketing are increased sales, cost savings and loyal customers. For some time now, paid advertising has been used as a reliable strategy to gain new customers. Unfortunately, paid ads are becoming less effective. The modern-day consumer doesn’t want to be blatantly sold to; they want to organically learn about a company or product and determine whether it fits their needs at their own pace. Content marketing is the answer to their prayers. By making your brand a credible and authoritative resource on topics that matter to your potential customers, your business is more likely to get discovered by the right audience. But as you might have guessed, big brands often have a whole team of marketers working on educational blog articles, e-books, videos and webinars to create content that stands out. As a small business, this might not be feasible, but that doesn’t mean you should give up on content marketing all together! Find out how your small business can benefit from a content marketing strategy. Let’s start with the basics; what does content marketing encompass? Content marketing is more than just the format of content (i.e. blog article, e-book or video). It’s a long-term strategy in a variety of formats that builds a stronger relationship with your audience. It comes down to this: Instead of pitching your products or services, you are providing relevant and useful content to your prospects and customers to help them solve their issues. 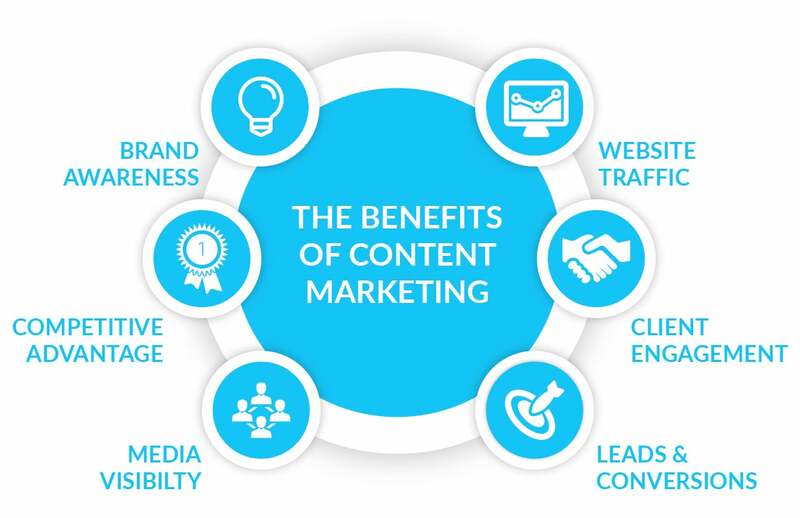 How can your business benefit from content marketing? Does content marketing really work for small businesses? It’s important for small-business owners to note that 70 percent of customers would rather learn about a company through an article over any kind of advertisement. A lot of customers are out there actively looking for that valuable content. Forks Over Knives delivers healthy, chef-prepared meals to people’s doors. Their content strategy consists of producing quality, science-based articles to post on their website. These long-form blog articles do very well, especially this article exploring five common misconceptions about food, written by a doctor. It’s been shared more than 43,000 times (at the time of writing) on Facebook. So what makes this blog post so special? Apart from the fact that is is very well-written and researched, the credentials of the author play a big part. The author is Michelle McMacken, MD, a board-certified internal medicine physician and an assistant professor of medicine at NYU School of Medicine. She is highly qualified to speak on these topics, providing the audience with real value. In this case, content marketing is specifically being used to show Forks Over Knives’ thought leadership and expertise in the industry. The company now exudes a (positively) authoritative and trustworthy image that people can rely on. If you don’t have the right expert readily available, you can start building an ongoing relationship with an expert or influencer in your field. If you are worried about budget, not all of these individuals want money in return for their service. You can find the right person and make it a mutually beneficial deal, where the expert/influencer can get their name out there, while you can publish their quality content. 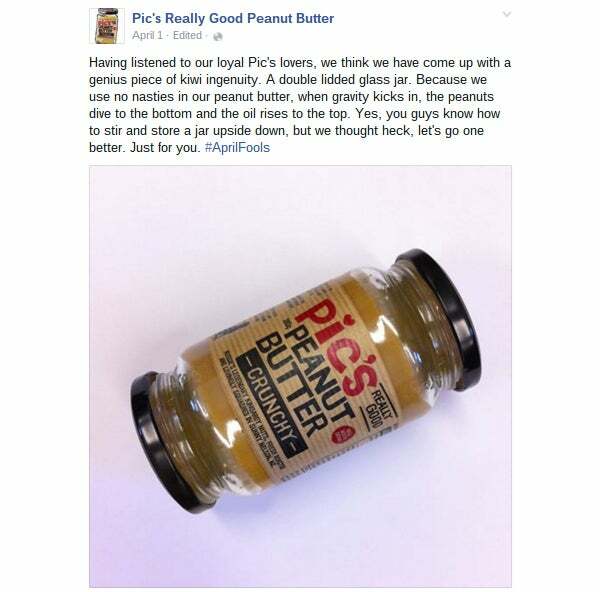 Pic’s content marketing starts on their website. It’s full of original recipes that can be made with their peanut butter. If you sell a food or drink product, it’s the perfect way to serve up interesting content and encourage consumption of your product. However, it’s on social media where Pic’s content really shines. According to Hootsuite, they grew their following from 3,000 to 10,000 in a single year. One of their best social media posts was for April Fool’s Day. It reached 11,200 people and garnered 2,209 clicks shortly after publishing it to Facebook; a big result for very little (Photoshopping) effort. The key takeaway is that content marketing isn’t necessarily synonymous with a having blog. There are so many content platforms available, so use what’s out there -- and get creative with it! 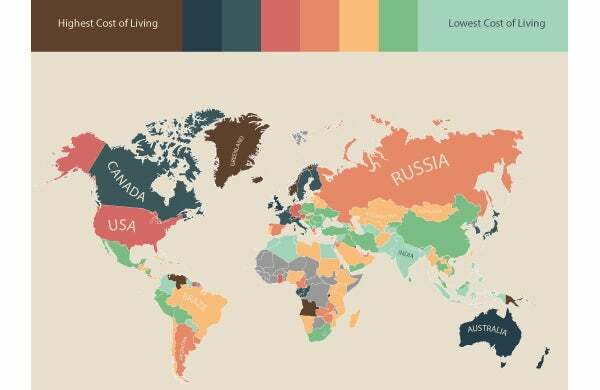 MoveHub, an online resource for people looking to move abroad, began designing map-based infographics that provided at-a-glance insights into complex issues, such as the cost of living around the world and the happiness index around the world. You’ve probably seen them before, because they were featured everywhere -- Business Insider, TIME, Huffington Post, and the U.K. Independent. Why were their infographics so successful? MoveHub is making complex information easy to understand. Who doesn’t love that! Besides the design, the “around the world” series was so successful because of its subject matter. The topics include things that (a) every single person in the world can relate to, and (b) trigger an emotional response. These are two key ingredients for making content go viral. With such an impressive content portfolio, you would think they have a big team with an even bigger budget. But MoveHub only has 10 employees! What does this tell you? You don’t need a group of 20 marketers to succeed at content marketing; you just need to hire the right people for your small business. How can you succeed in the new age of content marketing? Like almost every other aspects of our lives, mobile has redefined the way we read, view and are entertained. Mobile is becoming the default device of choice, not the laptop -- blog articles, videos, social media etc. are now mostly consumed on a mobile device. What does this mean for small-business marketing? They need to shift their focus to “mobile-first content marketing,” i.e. creating content that is easily consumed through mobile. Besides making your website’s content mobile-friendly, creating an app for your business can be a great way to serve up your content in a mobile format. The type of content marketing that might work best for mobile includes podcasts, visual posts, mobile-optimized emails, mobile video and social media posts. Content marketing can be a great way to organically reach potential customers. Instead of pushing an unwanted ad in their face, you will leave them with a positive first impression of your brand. It’s all about providing value, even if you don’t get an immediate sale in return.